We are in exciting times for the University of the Nations and we are experiencing growth in so many different areas. One of those areas is in our communications and information infrastructure. Recently we launched our new records system and we have received incredibly positive feedback. This new system allows us to serve an exponentially increasing number of students and staff with more accurate and timely information with less administrative resources. 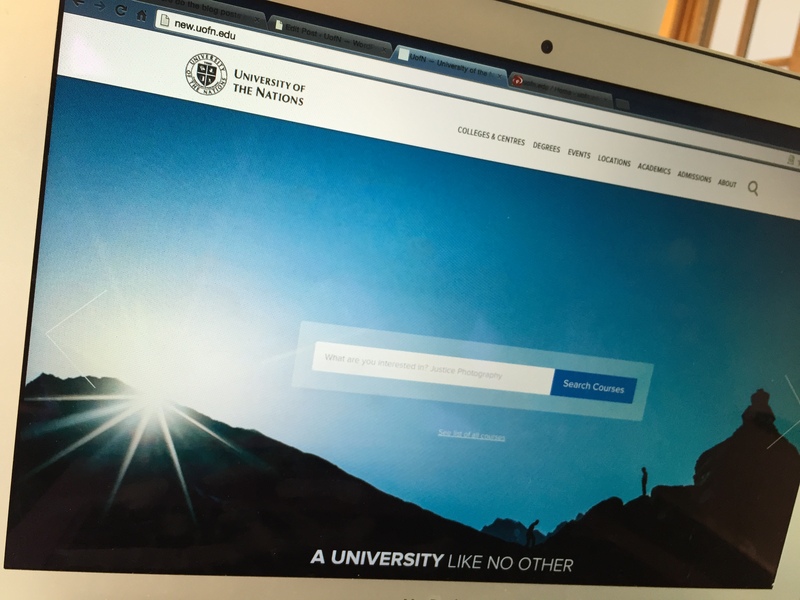 It is a massive step forward for the university. Connected with the new records system, we also wanted to update the design of our website. Our new website gives us greater flexibility in creating new content. We now have both a blog as well as an event calendar to be able to better communicate with the world what is happening with the university. We also wanted to simplify the process of finding degree options, courses available in degrees and locations around the world to take those courses. To accomplish these goals we added a locations page with dynamic markers of all the UofN locations around the world. We also developed a new search page that gives users the ability to filter courses by topic, college, location and a number of other criteria. Finally, we have created a new design that features imagery from students and staff around the world. These are the people that God is touching and using to impact His Kingdom and His World. Enjoy the new site! Use it and spread the word about this new resource to help advance the mission of the University of the Nations. Posted by admin on February 17, 2015 | Categories: News.